« Check Out The Bookmarks! 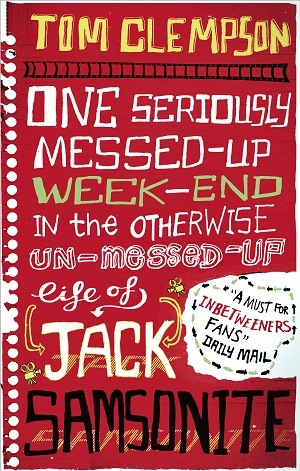 I am happy to announce that I am REALLY excited about the publication of ‘One Seriously Messed-Up Week…’ (11 days to go)! Unfortunately, hand in hand with that excitement, comes an equal amount of excruciating pant-crappings. But not about this book. Staying true to book 1 without repeating it. Knowing that someone is actually going to be reading it after I write it. Knowing that some people are waiting to read it! Weirdly, one thing that has relieved a MASSIVE pressure, is slowly adding to it – being funded by the Arts Council is nothing short of a blessing, in fact I wouldn’t be writing right now without it, but at the same time, being paid to write something, by people who want nothing in return other than to see you succeed, is another thing knawing at my back of my mind. I don’t even know that these pressures are relevant, because, if book one bombs and becomes tomorrows toilet paper, then NO ONE will be reading it, which in itself is another pressure! So, naturally, I hit Google to read about other’s problems, to make me feel better. There’s a whole load of great advice out there but even better than that, there’ a whole load of people a lot more messed-up than me! If you feel fat, hang out with the morbidly obese. If you feel old, spend the weekend at a retirement home. If you feel like your going slightly insane, read other people’s blogs. Awesome. I have just finished it, and thought it was flawless and the best book I have read in ages! Thank you so much for that Nathan (and I mean that in both the genuine heartfelt gratitude sense and also the sarcastic sense). Please please please expect the 2nd book to be the worst thing you have ever read, so at least that way you have a chance of being pleasantly surprised. Hopefully. Will try my hardest to not disappoint! 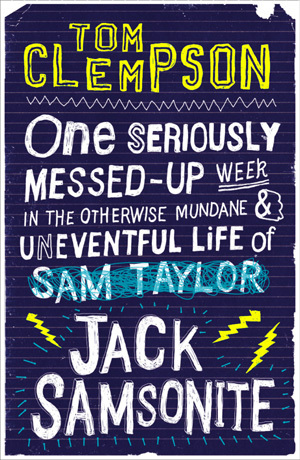 As long as its about Jack Samsonite and his amazing urinal theories (which I now abide to) it’ll be a success.